Celebrating 2 things that make our world a better place, post-it Notes and Bouncy Balls. 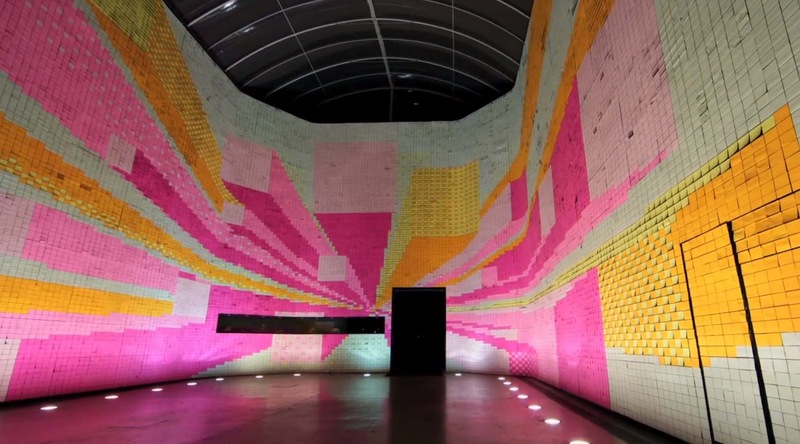 First, check out what is possible with a kabillion Post-its, some serious ingenuity put together with stop motion video (by Galeria Melissa via Poppytalk). It's just happiness all over the place. Now this one is an ad but worth the watch nonetheless. And it's new but Spud doesn't remember watching over and over again a few years back, so I'm re-introducing it. Happiness is a stupid number of bouncing colourful things.